Resilience is a concept that has become popular recently that evolved from studies of the natural environment and is used to refer to many different applications, from individuals, to communities, to systems. Resilience engineering (RE) has been developed to better understand system performance in high-risk sectors including healthcare and to use that understanding to develop promote safer operations by improving an organization’s ability to adapt. This paper describes resilience, the practice of resilience engineering (RE), and their role in pediatric care. Work by Wears, Perry, Cook, Woods, Hollnagel, Fairbanks, and colleagues show the scale and scope of effort needed to understand and cultivate ways to adapt care in order to meet demand, particularly when confronted with unforeseen challenges. 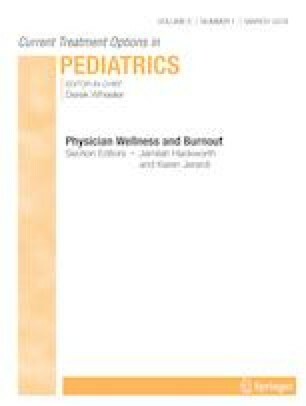 A case study of a pediatric intensive care unit (PICU) bed management and another of PICU between-shift hand-offs provide examples of how the RE approach can be used to develop an understanding of current and potential ability to adapt pediatric care that is grounded in data. Pediatric care can benefit from the RE approach, particularly through rigorous study of actual care settings. The author is grateful to Erik Hollnagel, PhD, Richard Cook, MD, David Woods, PhD, and Robert Wears, MD for their insights and inspiration. Christopher Nemeth declares that he has no conflict of interest.